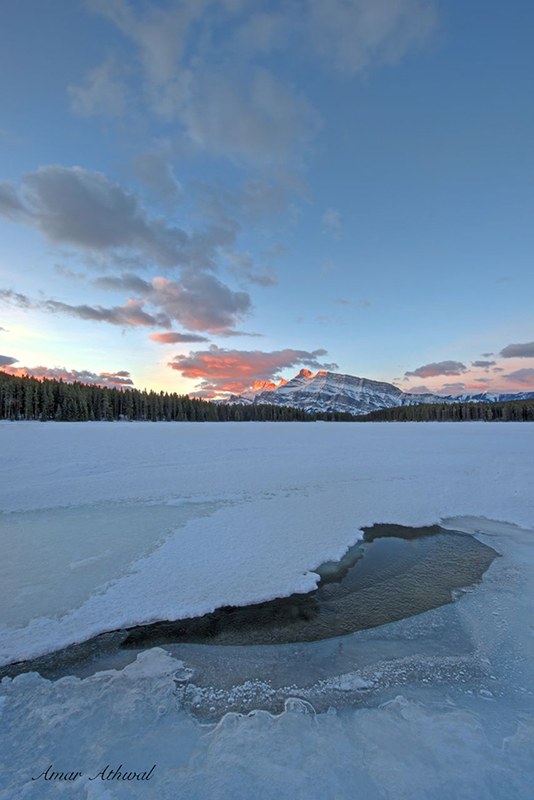 Just few weeks ago Two Jack Lake was starting to open up, all that stopped when it got cold again. Now its warm again and the lake is opening up again. Spring is taking its time this year, either way there are good opportunities to take pictures of the sunrises.